A branded installation for Thomson Reuters one night #openseriesTR Event. 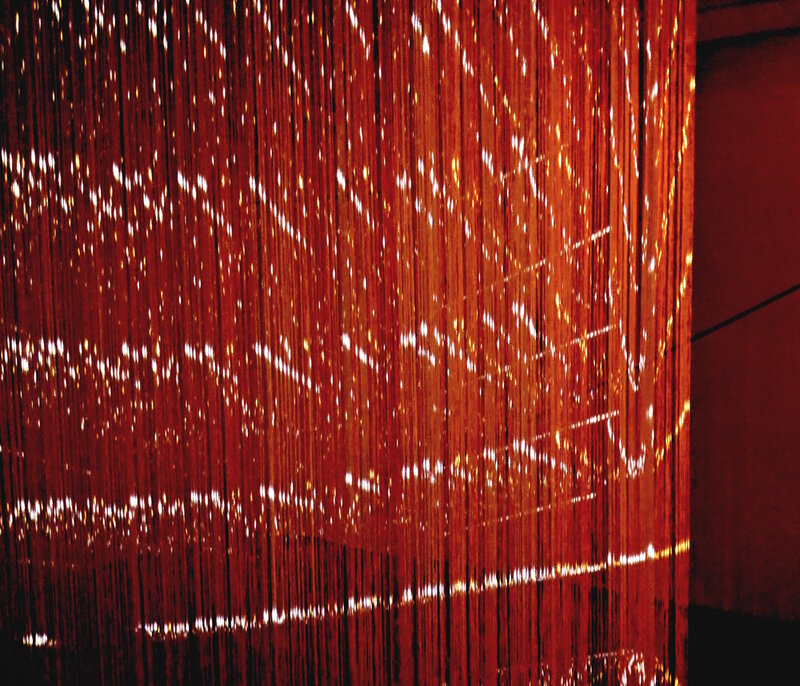 Artist, Jacob M Fisher created this installation out of Orange and White string, with a Thomson Reuters logo projected onto the string to create a 3 dimensional "hologram" logo effect. Attendees of the event where encouraged to interact with the installation throughout the event.